Amani conducted topographic and elevation survey at the Wastewater Treatment Plant. As a sub-consultant, Amani provided Construction Phase Design Services for approximately 26,000 linear feet of water line replacement. As sub-Consultant, Amani provided site surveys including Topo, Easement, Boundary and Abstract services for several Wastewater Lift Stations, City Wide as an “On-Call” project. As sub-consultant, Amani provided construction staking, checked contractors work, established additional control points and checked and certified as-built drawings. As a sub-Consultant, Amani provided topographic survey for drainage and plant improvements and prepared base drawings for eleven (11) water plant locations, city wide. 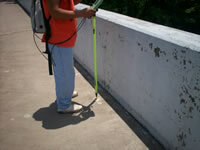 Topographic Survey for City of Houston Water Pump Stations Upgrade at Sims Bayou Water Plant. As sub-consultant, Amani provided site surveys including Topo, Easement, Boundary and Abstract services for several Wastewater Lift Stations, City Wide “On-Call” project. As a sub-consultant, Amani provided topographical and utility survey for approximately 6,200 LF, 80-ft wide York Street ROW 4,000 LF side streets. Established vertical and horizontal controls using GPS, tied the survey to City of Houston survey markers, and prepared right-of-way and survey control drawing. As a sub-consultant, Amani provided topographical survey of approximately 4,200 linear feet of 60-foot wide ROW for the roadway and drainage improvements. Established vertical and horizontal controls using GPS, tied the survey to City of Pearland survey markers, and prepared right-of-way and survey control drawings. Abstracted services, metes and bounds for additional ROW and utility easement to acquire three tracts of land along Walnut. Prepared Plan and Profile drawings using topographic survey manuscripts and ASCII files, Title Search and Abstracting services for 33 properties. The surveying services are for acquisition of 3 tracks of land along Walnut Street ROW to improve the roadway and utilities. 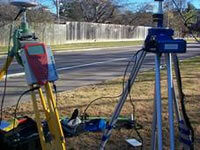 As a sub-consultant, Amani provided topographic survey for traffic signal installation and related improvements at the intersection of Genoa-Red Bluff Road and Allen-Genoa Road, Harris County, Precinct 2. As a sub-consultant, Amani provided topographic survey for traffic signal installation and related improvements at the intersection of Genoa-Red Bluff Road and Strawberry Road, Harris County, Precinct 2.